Underpinning the theoretical basis are a number of principles & methods integral to cultivating a greater understanding of the fundamental principle of harmony. 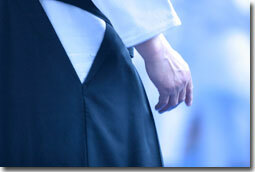 As a form of Budo (the martial way), Aikido is more than a fighting art. It is a path of personal discovery and character improvement. Some of the benefits include increased physical fitness, improved self-confidence and a greater awareness of yourself and your boundaries as well as those of people around you. The most fundamental concept of Aikido is that of ‘harmonising’ with an attacker. In practical terms, a practitioner of aikido will use the force of an attack against their aggressor to apply a lock, throw or pin. 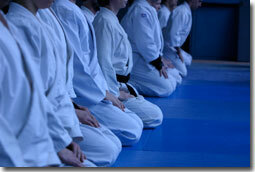 When pulled the Aikidoka (practitioner of Aikido) moves forward in the direction of the attack. When pushed, the Aikidoka pivots out of the way. 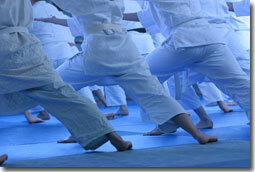 In this way, Aikido redirects the force of the attack until it is no longer a threat. In this weakened position, the attacker then becomes susceptible to various forms of controls (ways of directing an attacker to a final pin), or throw. Underpinning this theoretical basis is a number of principles and methods, all integral to cultivating a greater understanding and means of applying this fundamental principle. The first of these methods is the appropriate roles of both ‘shite’ and ‘uke’. In traditional aikido training, shite and uke are training partners, not opponents. As a ‘pair’, both will work with each other, fostering an atmosphere suited to the application and research of often dangerous locks and throws. Such a high level of co-operation helps you to reconceptualise an attack – from a hostile and destructive force to a positive facilitator of your aikido technique. The attack becomes a positive means to your ends. 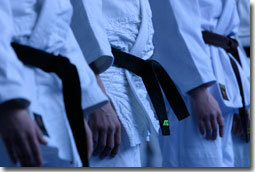 Another of the methods used is ‘Shuchu-ryoku’ – or focused power. This is the ability to focus your power into one point. Using the power of the hips, legs, knees, abdomen, etc, harnessed together to focus your energy towards one aim. The power generated is greater than the power of the muscles alone. It is the aikidoka’s ability to generate such power that enables a smaller and comparatively weaker person to apply techniques on larger and stronger opponents. Breath power or ‘kokyu-ryoku’ results from the alignment of feeling (sensitivity), breathing and rhythm, allowing the Aikidoka to read uke’s movement and lead them. It is not necessary to do any special training in order to develop breath power, you will develop it through consistent training. For the Yoshinkan Aikidoka, the ‘ki’ in aikido might be understood as the combination of correct posture, centre line, breathing and the augmented power of focused energy. Although there are many interpretations of such a complex concept, it might be said that “aiki” is the “mastery of balance”. 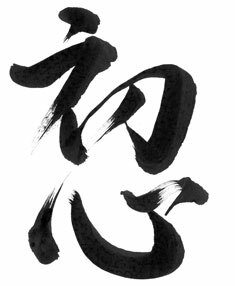 Sho Shin is a concept in Zen Buddhism meaning Beginner's Mind and is often associated with the study of Japanese martial arts. "Shin" means mind, spirit or attitude. The concept describes the attitude that beginners have when first learning something. A beginner approaches a new subject with eagerness and a lack of preconceptions allowing them to be open to new learning and experiences. Applied to the practice of Aikido, it refers to the idea that all students no matter how experienced should approach every lesson as if it was their first. It enables the student to continuously learn even when repeatedly practicing the same technique.